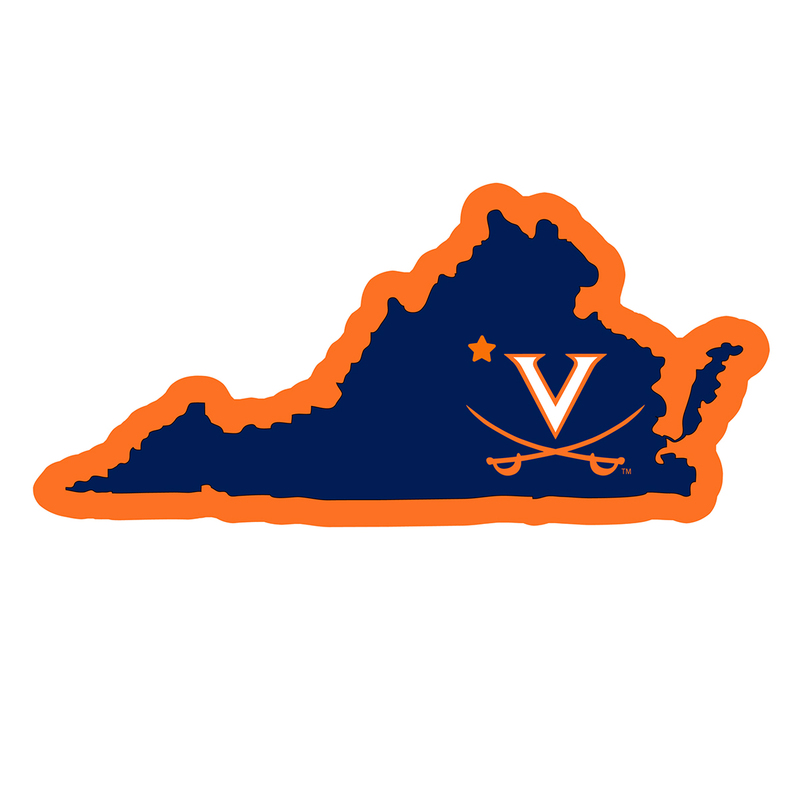 Whether you are caravaning to the game or having a tailgate party make sure you car is wearing its fan gear with our extra large, 11 inch Virginia Cavaliers home state magnets. These striking magnets can be easily placed on for game day and removed without he residue left by decals. The design features a bright state outline with the location of the team highlighted with a football and a large team logo.